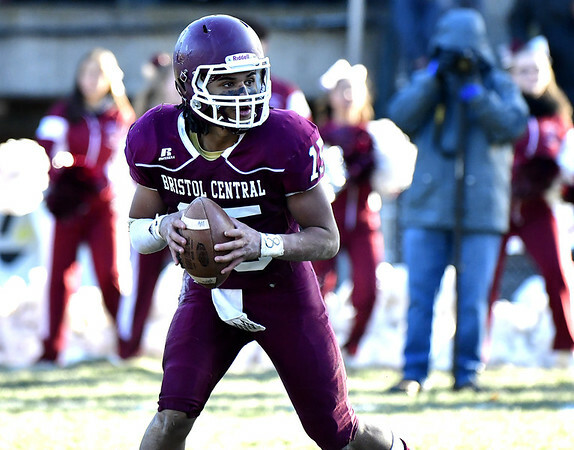 Members of the Central Connecticut Conference football all-conference teams were officially released on Monday afternoon, with all seven area schools represented. For Division I - West, New Britain’s Devon Bishop, Kaiyon Gunn, Juliano Morales, Shawn Robinson, Jonny Velez, Tahje Yopp and Robert Zapor were honored, along with Southington’s Billy Carr. Will Downes, Jacob Drena, Jacob Flynn, Tanner LaRosa, John Miller, Sam McCarty, Angelo Plantamuro and Matt Thompson. For Division II - West, three area schools were represented: Bristol Central, with Justus Fitzpatrick, Isak Gonzalez, Jose Navedo, Darrell Payton, Ryan Rodriguez, Nathan Rosa, Victor Rosa and Jakob Salinas; Bristol Eastern, with Elijah Gagliardo, Trinidad Gonzalez and Justin Marshall; and Newington, with Izayah Ciarcia, Julian Mulero, Dylan Nees-Fair, Rasheed Patterson and Eric Sims. Berlin placed Tyler Dinkins, Kevin Dunn, Alex Halkius, Zach Hrubiec, Nick Paszczuk, Dom Scarano, Marco Scarano, Larry St Pierre and Giancarlo Tufano on the Division III - East team. Plainville’s Brady Callahan, Christian Collin, Frank Griffin, Alex Hernandez, Sam Lestini, Jason Mills and Mason Sarra were named to the Division III - West team. Also for this past season, St. Paul’s Connor Bogdanski, Kevin Ashworth, Robert Murphy and Max Peruta earned All-NVL Iron Division honors. Posted in The Bristol Press, Bristol Central, Bristol Eastern, St. Paul on Monday, 3 December 2018 18:49. Updated: Monday, 3 December 2018 18:52.